ChinaGrate is located in Nantong, Jiangsu Province, PR China, across the Yangtze River from Shanghai. Currently ChinaGrate employs more than 200 full-time staff, and occupies a new manufacturing facility of more than 10 acres. 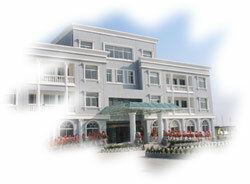 ChinaGrate facility is ISO 9001:2000 certified. It is the mission of Chinagrate to provide the best value fiberglass grating products in the world through high quality and low price. This will be achieved through our commitment to excellence in product, service, operation and workforce. Product Excellence: We strive to provide the most complete line of fiberglass grating products in the industry, including grid configuration, size selection, color selection, resin systems, surface types, and accessories. Service Excellence: We will exceed customer expectations through continuous improvement in quality, service, productivity and time compression. We are committed to provide the largest facility in the industry for fiberglass grating production and fabrication, and maintaining the large mold pool and machinery to ensure shorter production lead time and customer satisfaction. Operational Excellence: We seek improvement and innovation in every element of our manufacturing and distribution operation. Our products, services and workplaces reflect our belief that what is good for the environment and the safety and health of all people is good for Chinagrate. We will continue to maintain a competitive edge by implementing our unique quality control system called “Variable Quality System”. By utilizing our overall operation size in capacity planning, we are determined to minimize operational cost and offer our customers competitive prices to ensure their success. Workforce Excellence: The diversity and involvement of our people is the foundation of our strength. We are committed to their fair and effective selection, development, motivation and recognition. We will provide employees with the tools, training and support to achieve excellence.